In case you are dreaming about a beach getaway with your family when winter winds are the harshest, here is something you will like. 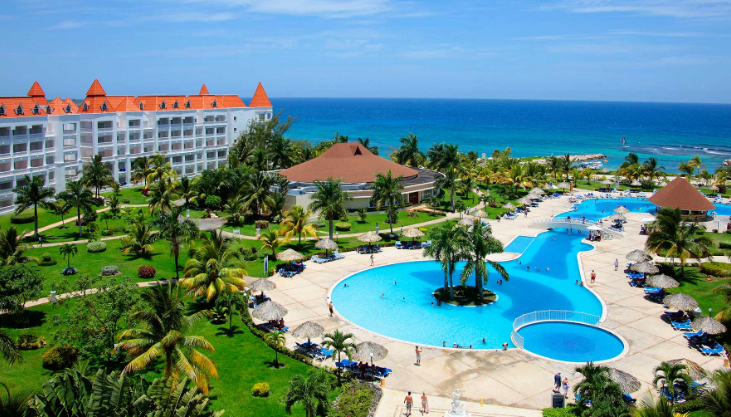 Book Grand Bahia Principe Jamaica from just $84 nightly and you can pay up to $60 less for each night off average prices at the all inclusive resort. About 18 miles away from the town of Ocho Rios, the all inclusive Grand Bahia Principe Jamaica is located on the beaches of northern Jamaica, right next to its sister property in Runaway Bay. Guests can choose from three types of junior suites at the resort, most of them with ocean view and all with either a king or two full size beds. 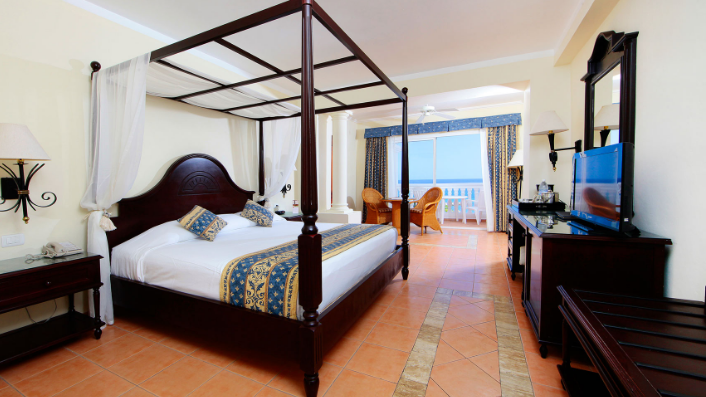 All the rooms of Grand Bahia Principe Jamaica have air conditioning, direct line phone, coffee and tea maker, flat panel TV with satellite channels, mini bar, premium bath amenities, hair dryer. premium bath amenities, dark hard wood furniture, four poster beds, hydromassage tub and more. Apart from all your meals, snacks and drinks, at the all inclusive Grand Bahia Principe Jamaica, you will enjoy lots of entertainment programs for all ages, dance and aerobic classes, non motorized water sports and dining lesson, access to the newly opened water park, land sports, kids club, gym and more. 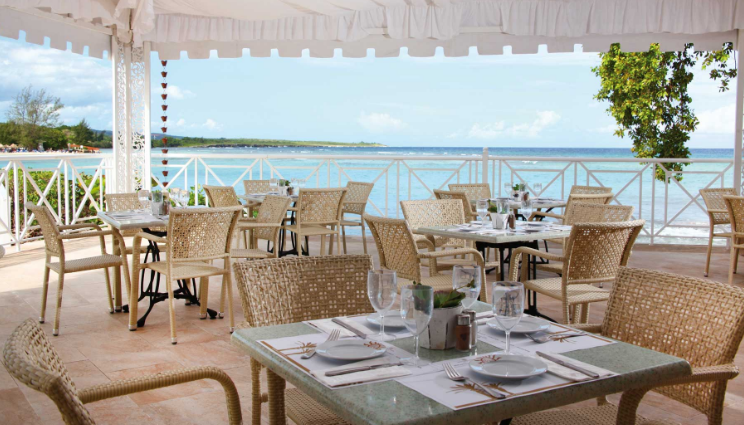 You can choose from six restaurants and and three bars where you can soothe all your cravings, there is an international and an Italian buffet here, grille restaurant, international beach restaurant and more. Grand Bahia Principe Jamaica has a new water park that kids will love and luxurious beachfront pools for the adults, you can try new sports, play golf or relax at the spa. 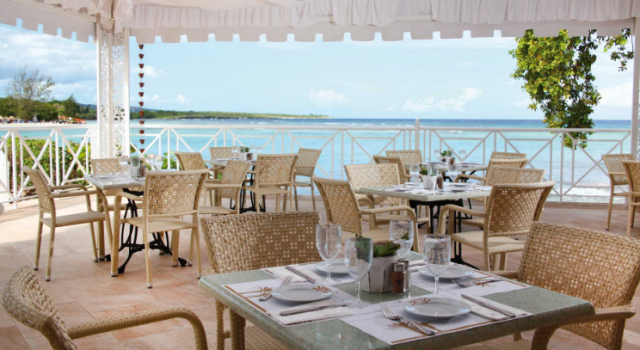 But Montego Bay and the other popular areas of Jamaica have many other great beach resorts that might also be on sale. Just pick out all the merchants that you want to compare and see if they have better hotel deals that ours for the travel dates you had in mind. If you try more dates, you have better chances at finding the lowest prices.